"Paleo 101: The Paleo Guide for Beginners"
Exclusively Available to Our Subscribers! The whole process will take 30 days. Stick to a plan and try one paleo recipe per day. That's all you need to do. Let the power of the paleo foods to take care of the rest! 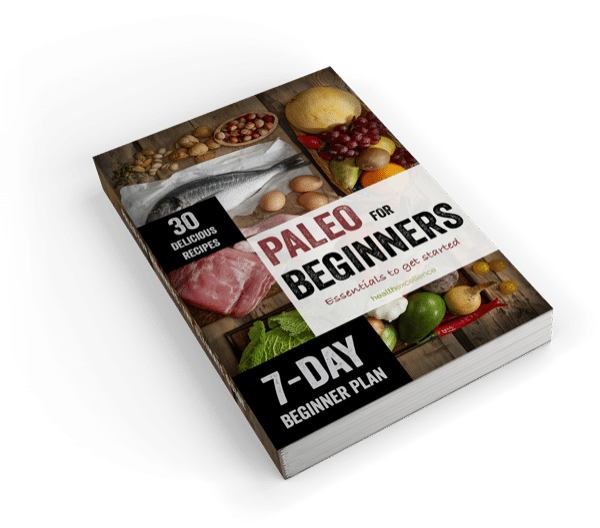 • Chapter 1 - What can i eat on the paleo diet? • Chapter 2 - How the paleo diet keeps me from gaining weight? • Chapter 3 - What science says about paleo diet? Moreover I have included 30 full color illustrations of every recipe alongside with a very informative and easy to understand index of preparation time, servings and many more data. Subscribe below and get your free copy in 30 seconds! We respect your privacy 100%. We don't spam. Ever!